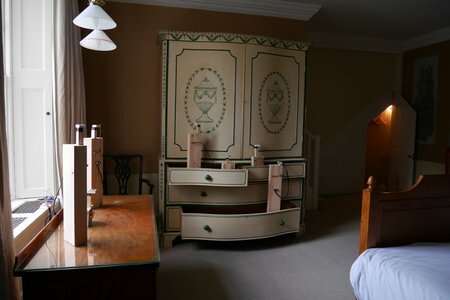 Having returned from the Easter break, the Visual Arts department was pleased to welcome Carole Waller as Visiting Artist shortly she had taught a Short Course in the Main House. 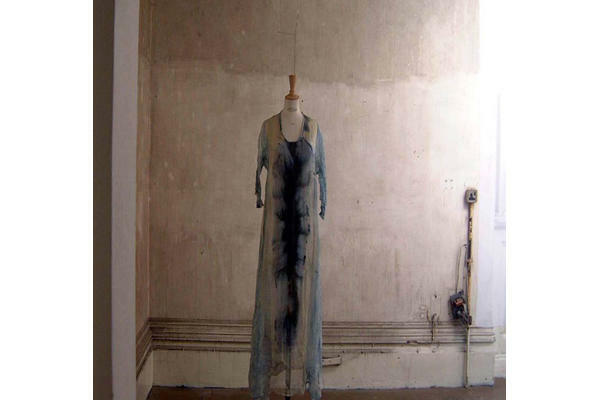 During a presentation in the Old Library, Carole gave an overview of her practice, detailing its development and her commitment to producing diverse strands of work across different contexts - touching on the worlds of painting, fashion, sculptural installation and performance. There was also a lot of practical information and advice for the students about making a living as an artist in the context of a rapidly changing economic climate, and the difficulties involved in finding consistency when support for the arts continually fluctuates over time. From early on in her education in Canterbury during the 1970s, Carole pointed out that she questioned the convention of exhibiting in galleries - not simply being suspicious of 'white cube' spaces but the more general ubiquity of gallery institutions - which led her to exploring alternatives modes of display as well as different sites, events and contexts through which her work might be presented to the public. Over the years this has inevitably involved working to commission, making proposals for site-specific installations and getting involved in making public art in various types of location: churches, schools, disused hotels, hospital MRI units, National Forests and so on. 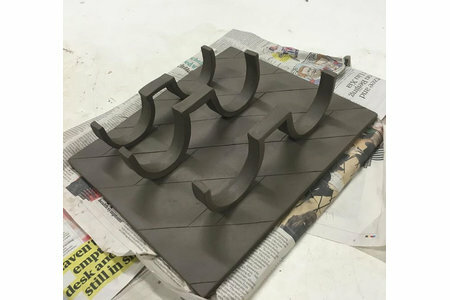 By asking the question as to where, for her, the artistic gesture started and stopped, and indeed in what areas of public life her work might operate in, Carole has always sought to open up new audiences for herself, pushing for her work to function in unexpected places. Having started out as a painter with an interest in filmmaking - an influence on her interest in what she described as "projecting ideas into spaces" - Carole soon began to use fine cloth to create installations of multilayered surfaces. Often this would involve sheer fabrics like organza, as well as gauzes and silks (materials quite apart from the thick canvas of painting), all suggestive of skin-like membranes, both strong and delicate, porous and reflective. These hangings would soon take on structure as Carole sought out some kind of "device" to hold images or on which to project colour. This would evolve into her making a series of painted clothing, suggestive of theatrical costume, whereby stained and dyed fabrics became part of a wearable garment. This built upon the interest in placing unexpected images onto the body, combining it with a handmade aesthetic, a nod to the unique alterations and non-reproducibility of Punk, as well as links to the more conventional fashion industry. It was more toward the latter that the work began to develop, with Carole going on to make pieces specifically to sell in the retail market, working to commission and becoming involved with major events like Paris Fashion Week. 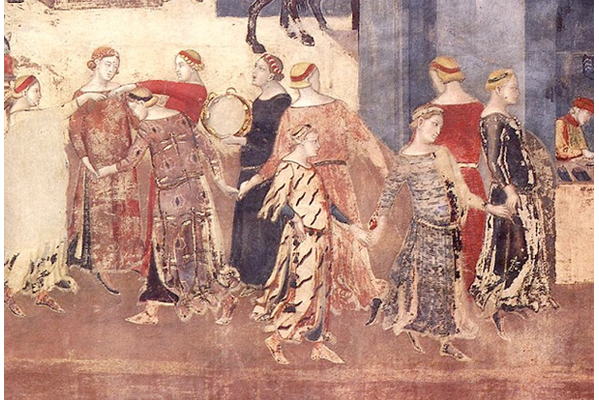 Putting her work in another context, Carole showed an image of a fourteenth century allegorical fresco by Ambrogio Lorenzetti located in the Palazzo Pubblico in Sien, specifically a scene entitled Effects of Good Government on the City Life, where a series of female figures are seen dancing, their flowing garments patterned with repeated colours and geometric motifs. 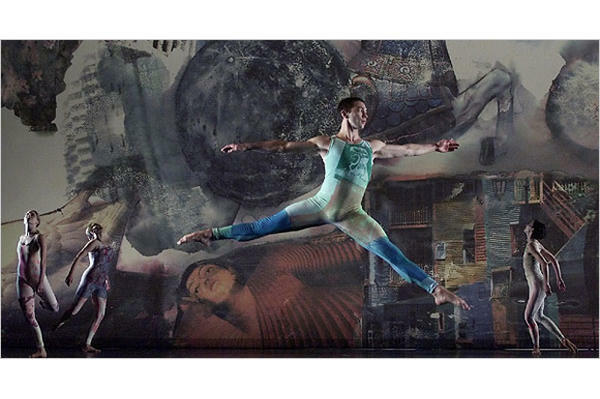 The image led onto a discussion of her interest in theatre, dance and performance, suggesting how the clothed body would become a "carrier for colour", relating form and movement to colour's emotional resonances. 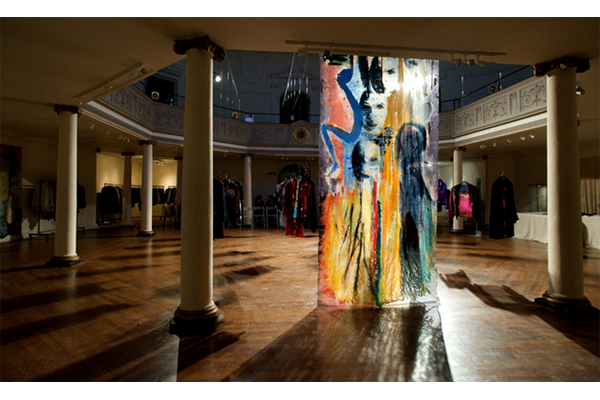 Many of the examples in the painted clothing series suggested the work of Merce Cunningham, both in terms of costumes, stage sets and backdrops (such as those designed in collaboration with Robert Rauschenberg) and other examples formed part of performance installations in church spaces or concert halls. The notion of floating or being in limbo was also a consistent theme, evident in the interest in moving figures, masses in transit, forms falling through space or indeed slaves being stowed and shipped like manufactured goods. Carole's work was often an attempt to "trap a floating world", as she put it, even to the extent (in later works) of putting it under glass. 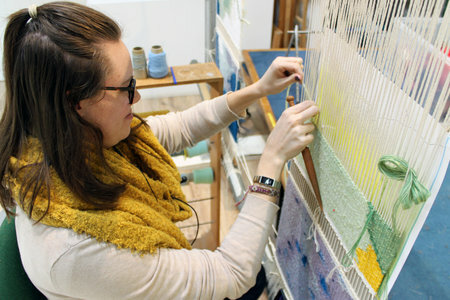 An extension of the fabric-based pieces' combination of different levels of opacity and transparency, as well as with the example of frescoes being embedded into an existing surface, Carole began to develop installations that made use of industrial materials and processes to emphasise the kinds of polarities inherent in her work. 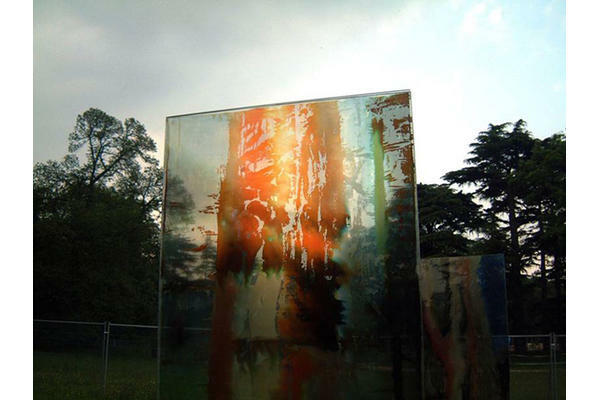 By laminating designs between sheets of toughened glass, perspex or resin, she was soon able to explore the potential in trapping intuitive, transient marks in a transparent form that gave them architectural stability.